Instead, actor Vladimír Furdík has revealed that the enormous, world-altering battle between the living and the dead will take place at the halfway point of the concluding six-episode arc. 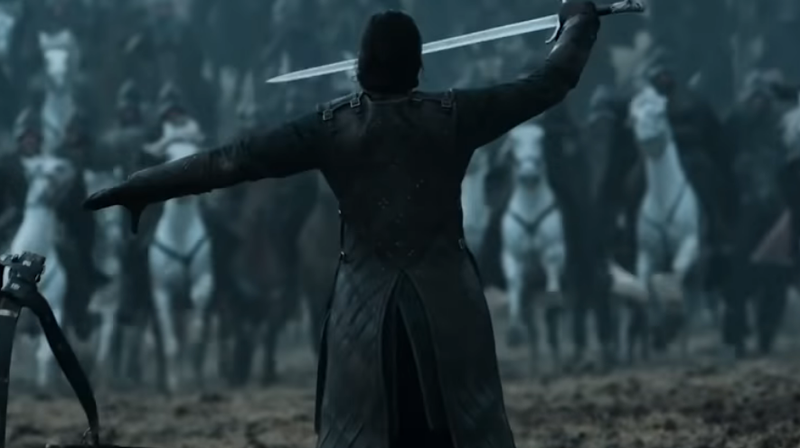 “In the third episode of the last season, there is a battle that the creators intended to be a historic moment in television,” he stated while appearing at a fan convention in Hungary, a pretty definitive announcement. (Mashable had a native speaker confirm the translation.) “Almost the full episode will be about the battle, it will take about one hour,” he added, which, yeah, that part tracks. What will really surprise everyone watching the episode, we’re guessing, is when Gandalf rides over the nearby hill and saves the day. Game Of Thrones returns April 9, 2019.